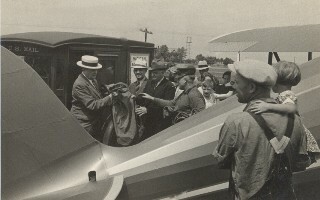 My great-grandfather Postmaster Charles Creeden (on left) receives the first airmail delivery in Celina, OH around 1934. Copyright 2011 K. Creeden. All rights reserved.